The night before my century ride, Michael and I went to a party hosted by Yelp. 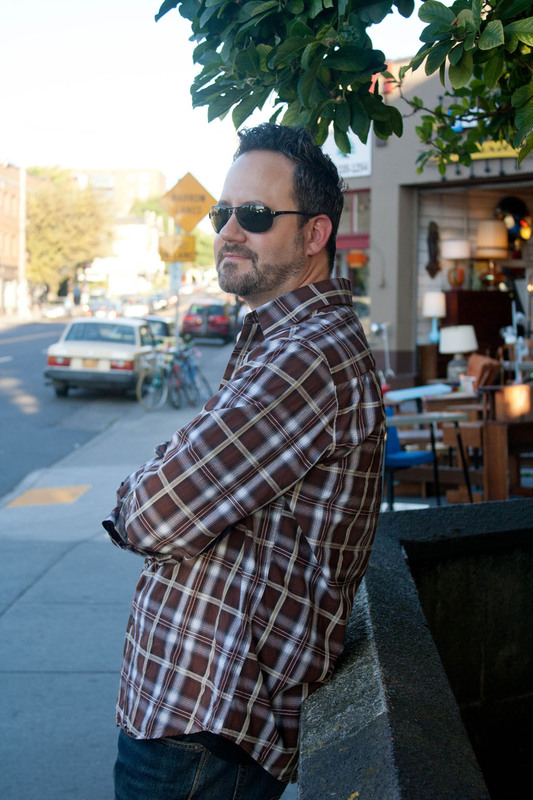 I’d recently been added to the Yelp “Elite” membership (I have no idea how…did I sign up and forget?) 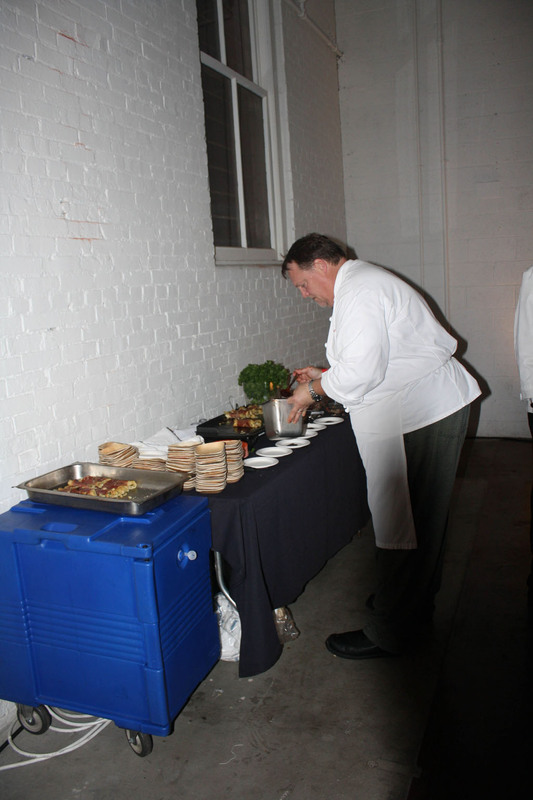 and they hosted an invite-only party with food and drinks. 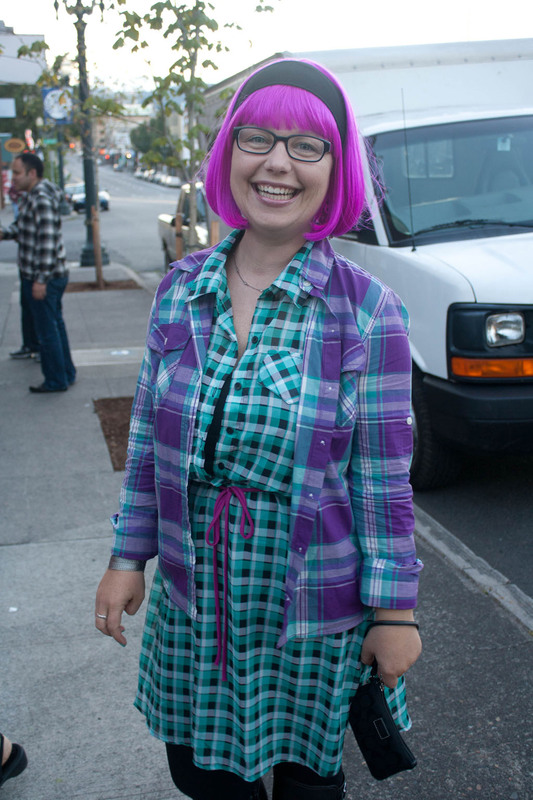 It was called 50 Shades of Plaid and you were required to wear some plaid. I was excited to go to my first party and our friends Tiffany (former Carbzilla) and her husband were going too. 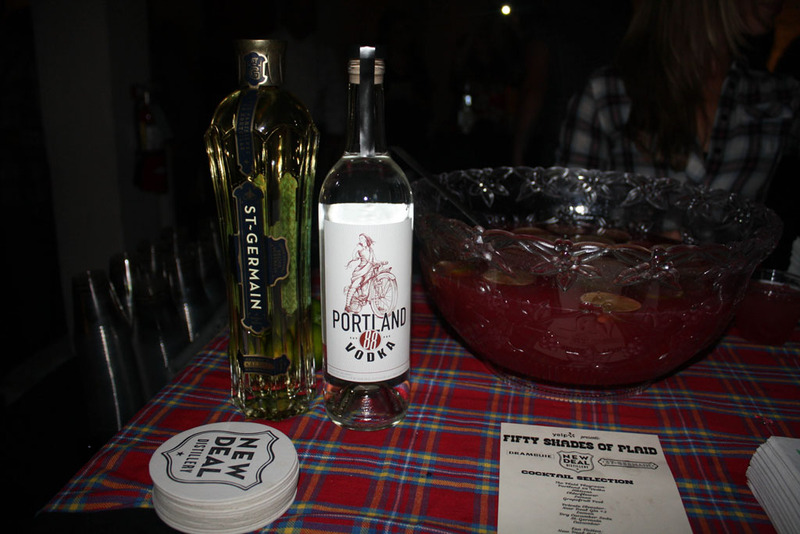 The party was the after party for “Feast“–the foodie event of the year here in Portland. I was so heartbroken when I found out Franklin’s BBQ came all the way from Austin to participate! Had I been able to afford the spendy admission prices I would have been there! Maybe next year. 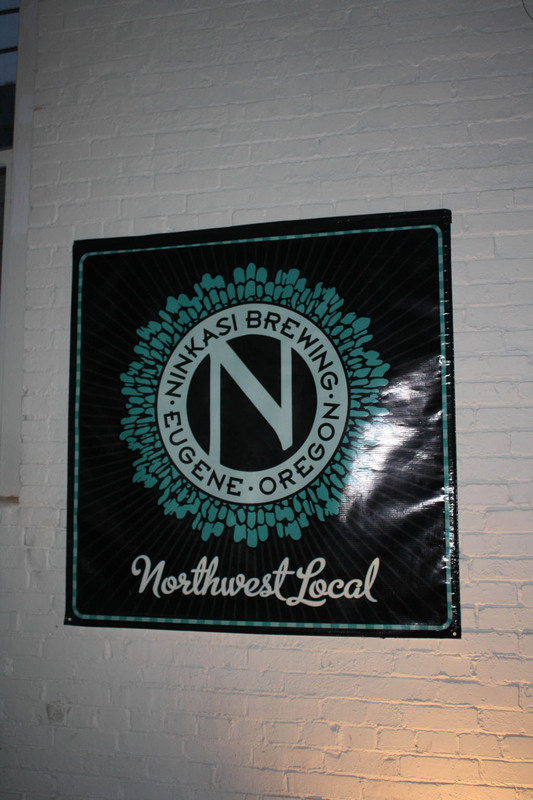 Some of the local businesses at the Yelp party were: Ninkasi (YES! 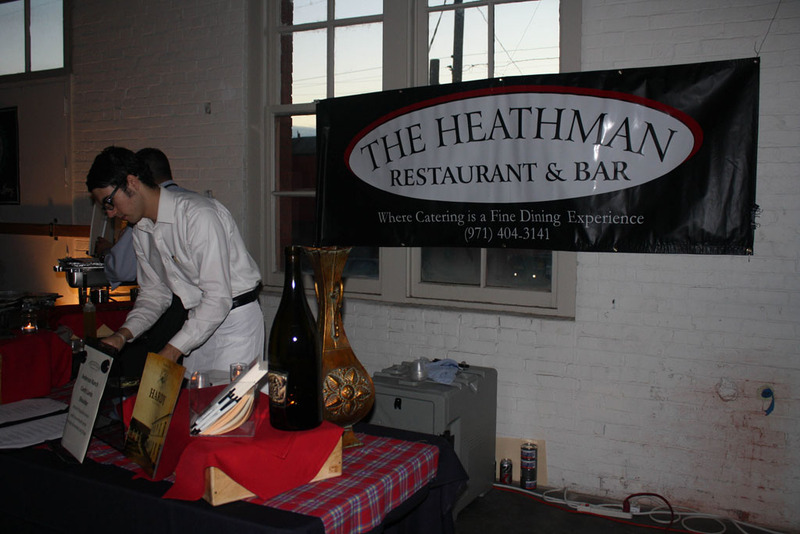 ), The Heathman Hotel and Restaurant, Pine State Biscuits (a restaurant I’ve been dying to try for a long time), OBA! and lots of local wine and distilleries. 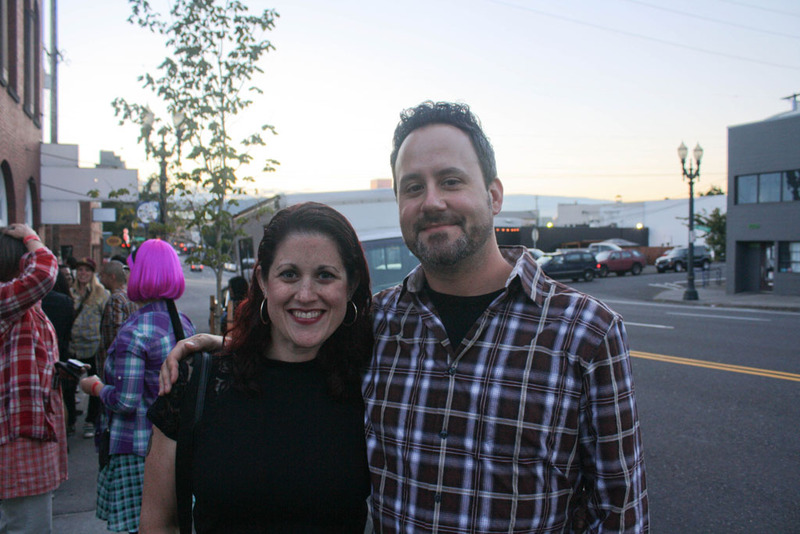 Michael and I met Tiffany and her husband at Lardo on Hawthorne for a snack and to catch up. It had been awhile since the four of us hung out. Lardo has been on my list for awhile. I wasn’t overly excited about what Michael and I got. 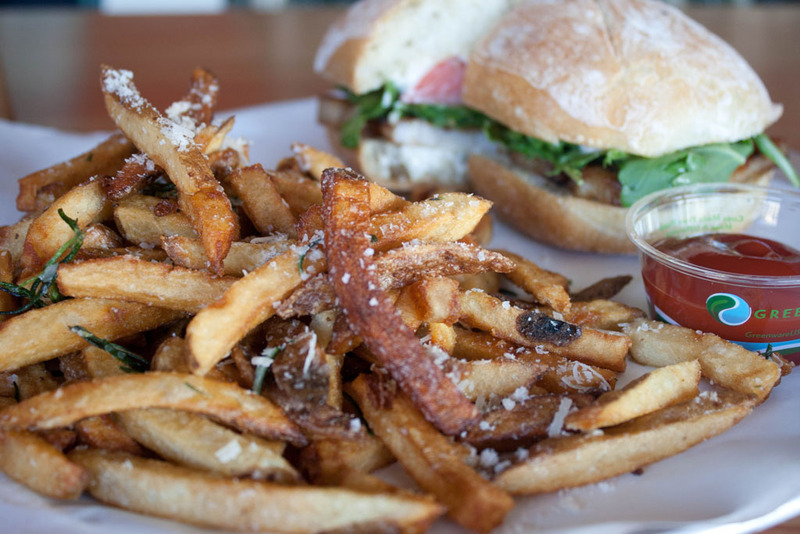 We ordered the Pork Belly sandwich with their famous fries (supposedly cooked in duck fat with rosemary and parmesan shaved on top). The sandwich ended up being a BLT essentially. Not that I dislike BLTs or that this wasn’t a good one, but it wasn’t exactly what I was expecting. The aioli sauce had a strong flavor of lemon to it, which I found odd but kind of refreshing at the same time. Tiffany gave me a bite of her Italian meat and cheese sandwich that had spicy peppers on it and it was fantastic! That’s definitely the one to order. For the beer, I had their Boneyard “Armored Fist Double CDA“. Boneyard Brewery is my current obsession. 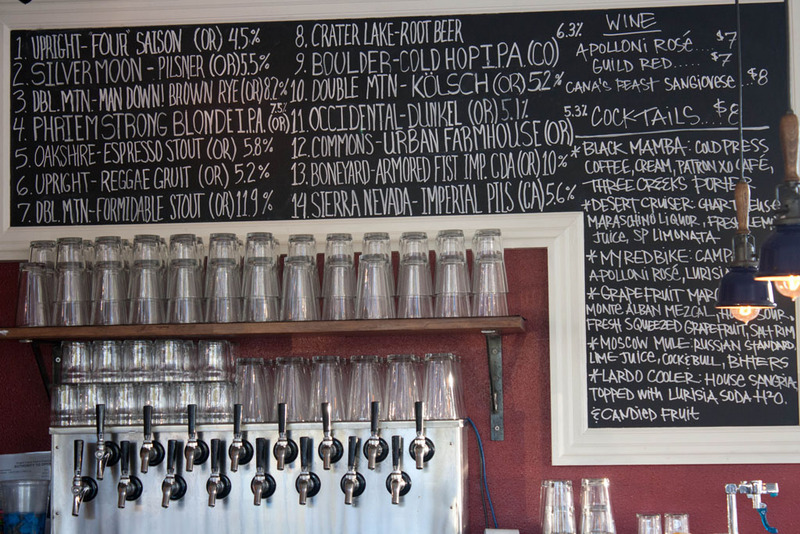 If I see anything by them in a bar, I order it–even though their IPA is my favorite. Of all time. Favorite. Love. Love. LOVE. What was this Double CDA? It’s an “Imperial Cascadian Dark Ale. Basically? 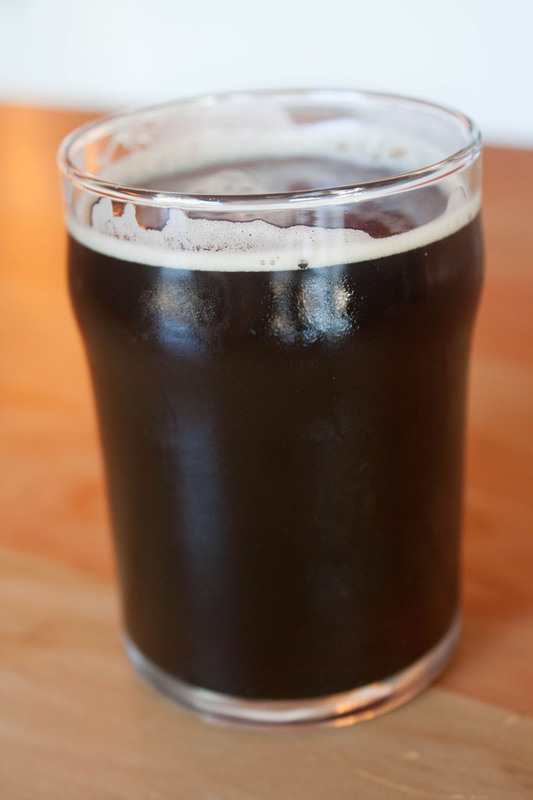 It’s a Black IPA. Which I’ve never really had before. But I tried it at Lardo and enjoyed it quite a bit. Despite it’s dark color (which usually scares me off of a beer), it was the super hoppy citrus flavor I know and love from Boneyard. I got a half-pint of the beer with our dinner and then we went over to the Yelp Party. 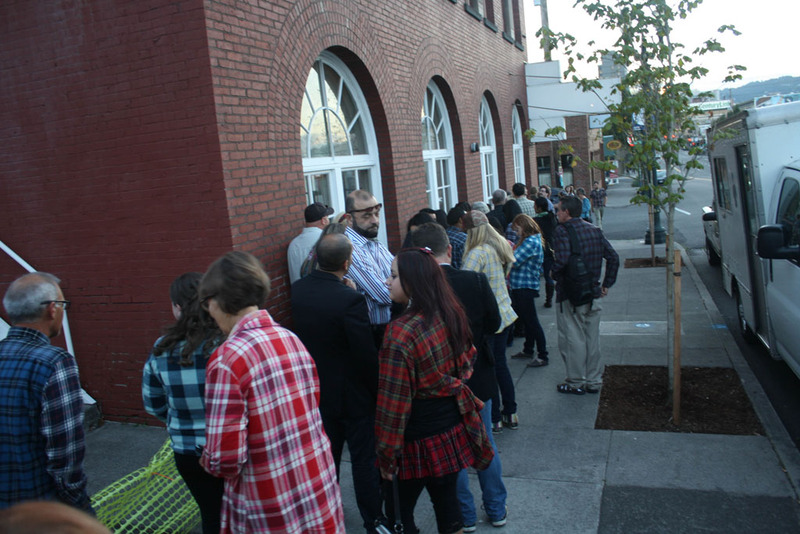 It was at the YU Contemporary Art Center just off Belmont, a block from the Cascade Brewing Company. I’ve never been to this location before but it was a really cool space. 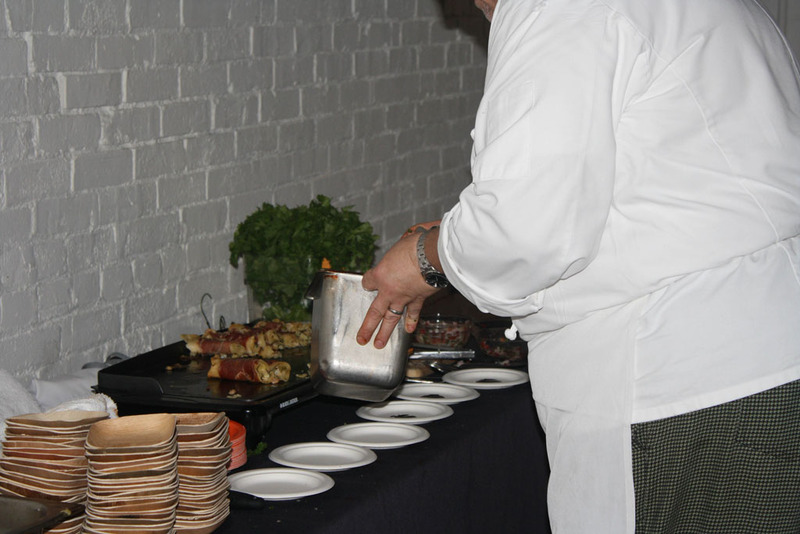 The invitation to the Yelp party recommended that we eat beforehand, because the lines for food are long and the food at the party are just tastes, not meals. Hence, we split a sandwich at Lardo. Honestly? I probably could have skipped Lardo and been just fine having the snacks at the Yelp party. Dang. I forgot my magenta wig at home! 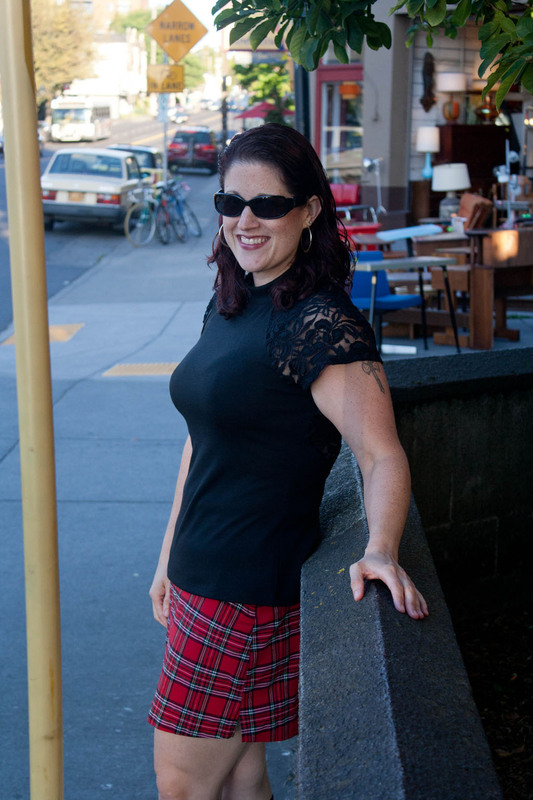 Although, it would have clashed with my plaid skirt, I think.We got inside and the place was awesome. The building was very industrial yet very old. I liked the vibe. There weren’t any chairs or tables, really, so the restaurants that were there were spread out and you just kind of grabbed food and hung around. 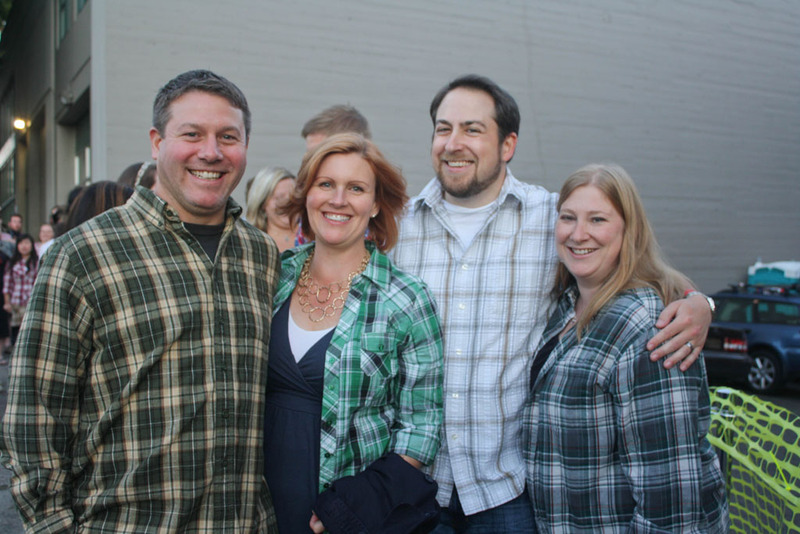 It was a SEA OF PLAID! The place was crowded but never felt too crowded. 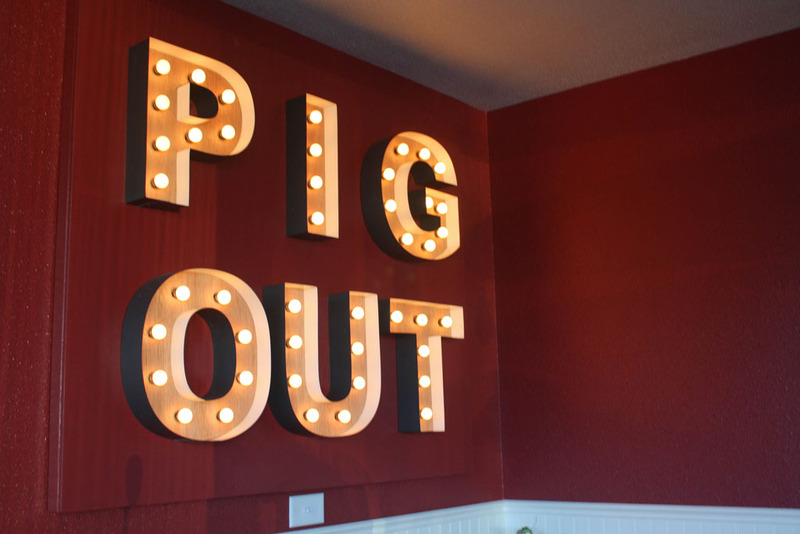 The first place we got tastes was Smokehouse 21. They had little tiny sliders and the most amazing deviled eggs I’ve ever had in my life. Seriously, I must figure out how to make these things. They were your typical deviled eggs but they had some kind of spicy sausage sliced on top of it that added so much flavor and really good spice to it. 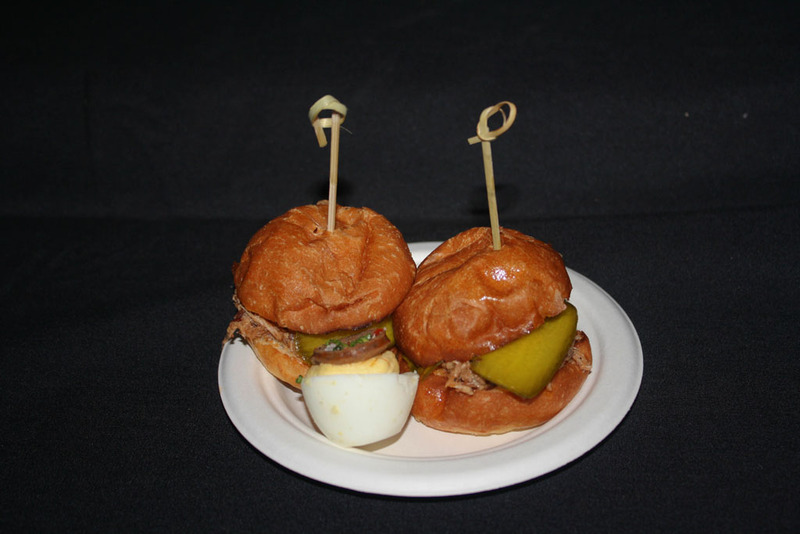 The sliders were good, it had some sweet and spicy pickles or peppers on them that I quite enjoyed. 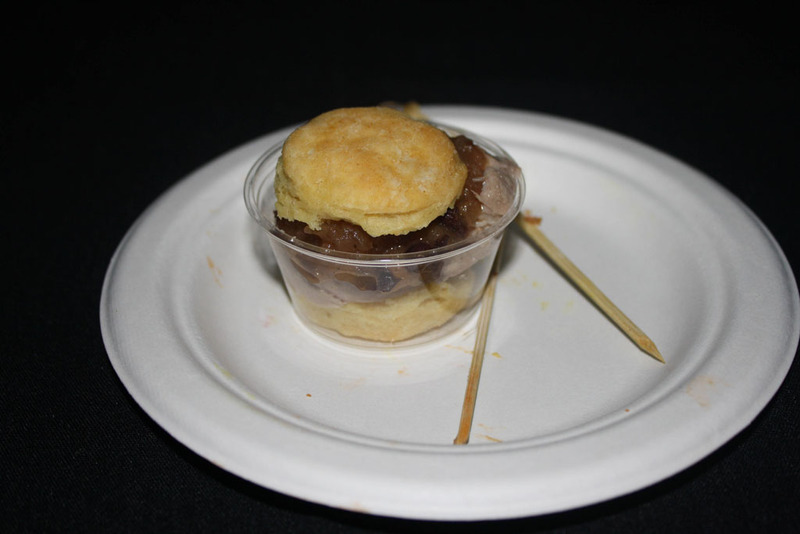 The next taste we got was from Pine State Biscuits. It was a teeny tiny biscuit sandwich thing. It was really cute. How did they make their biscuits bite size like that? So how was it? Unique. The biscuit itself was exceptional. In between the two biscuit halves was a slice of pork and some apple chutney. It was a bit strange but in kind of a good way. It was like eating a tiny piece of apple pie with a slice of pork in it. Sounds weird, right? But it worked. 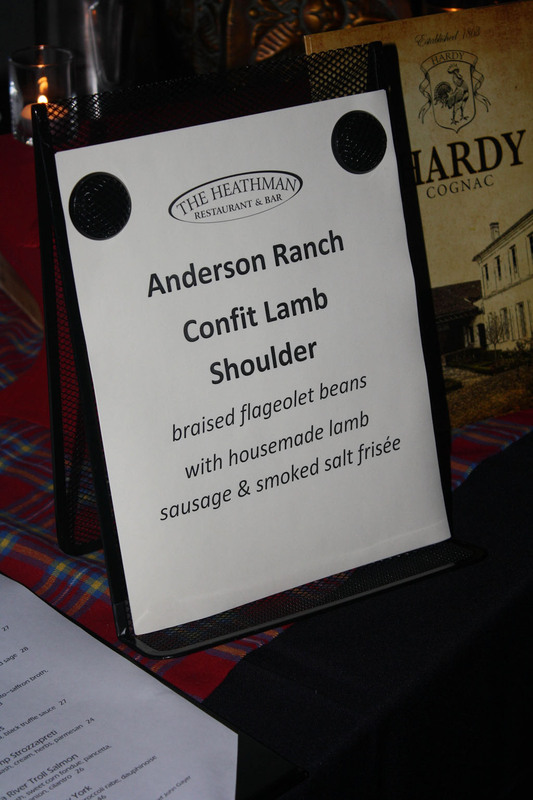 The next taste I got was from The Heathman. I loved the lamb but wasn’t that impressed with the beans or the rest of the dish. They should have just served the lamb shoulder with the sauce. The above picture was from the OBA! table. The sample was a tiny enchilada with potatoes and ham with a delicious, rich, spicy mole sauce and a shrimp salsa on top. I did not get a good picture of the tine enchilada because I just ate the crap out of that thing. It was excellent. I would definitely go to OBA! and have a normal sized one. 3) ICE CREAM. Courtesy of What’s the Scoop? Ice cream shop. 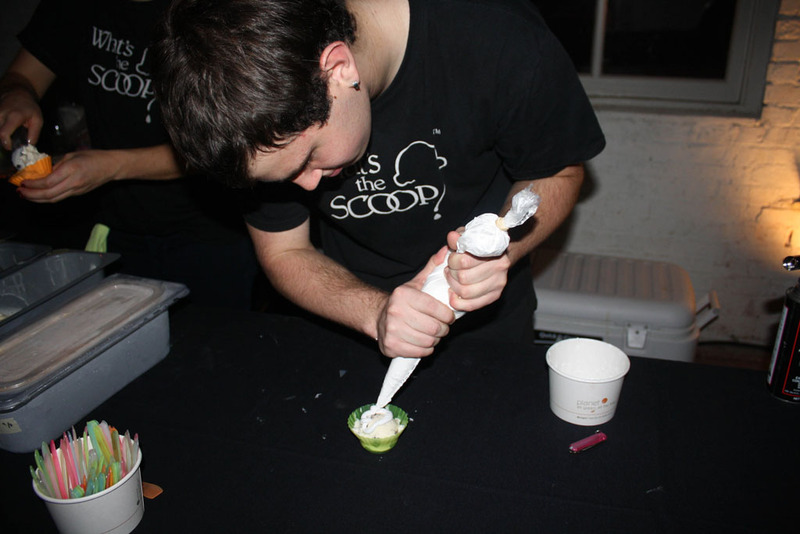 Ice cream has always been one of my favorite things (and trigger food that I couldn’t eat for a few years because I loved it so much) and I’ve definitely had some good ice cream in my life. Tillamook is pretty amazing. If you ever visit Oregon, I suggest a visit to the Tillamook Cheese Factory. 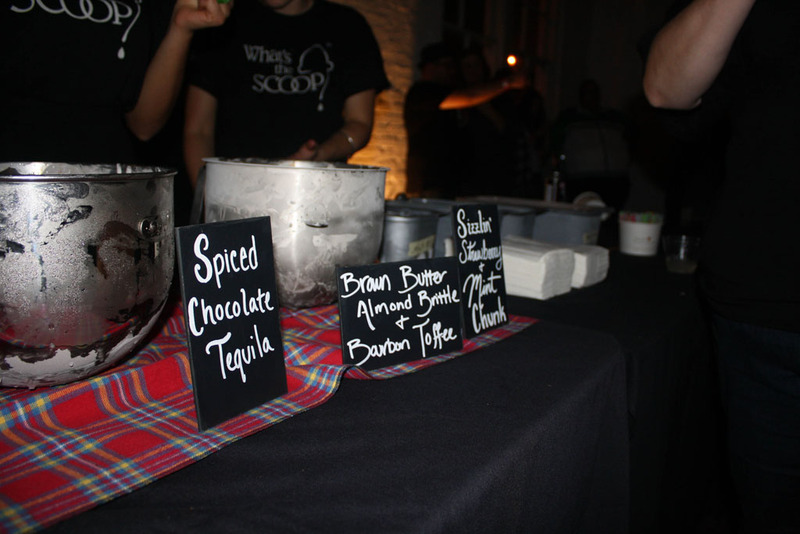 But this is the first time I had ice cream that blew.my.mind. It was creamy and flavorful with unique and tasty flavors. And it was made with Nitro! 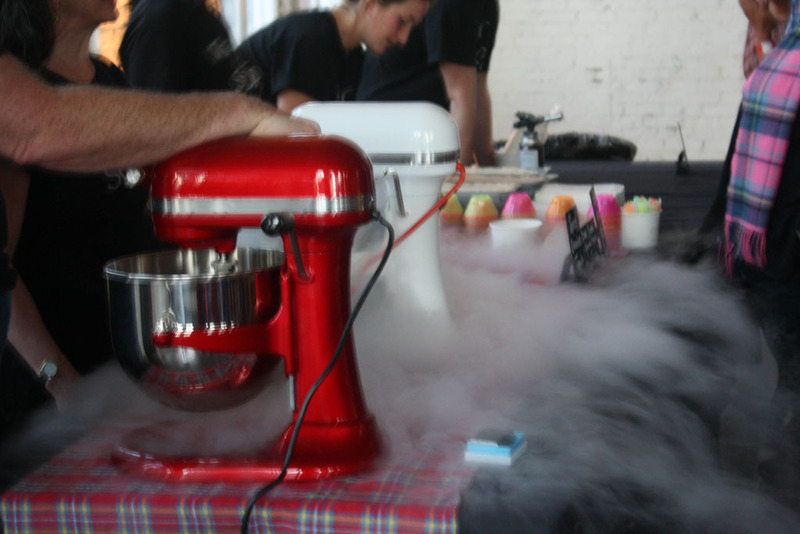 I had a bite of their Strawberry ice cream….that had habanero pepper in it. Wowza. It was creamy and rich, sweet from the strawberry with some chunks of fruit in it, and as it slid down my throat, that’s when the burn started. It was a tingly, nice after spice from the habanero. I say it again. Wowza. Strawberries and peppers? Sign me up. Michael got the Bourbon flavor (it was vanilla with chunks of toffee and a bourbon after taste to it) which was good. A friend got the Spiced Chocolate Tequila, which was unique. 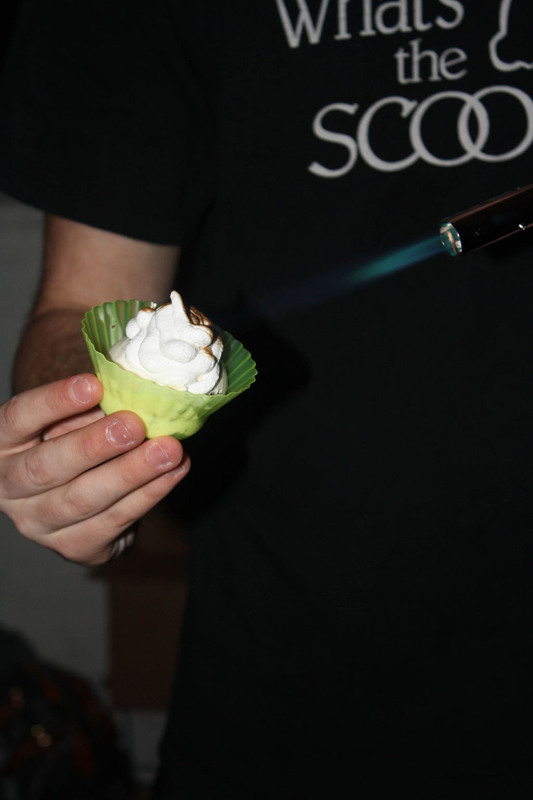 I got the Mint Chunk and the guy sprayed some marshmallow on top of mine and then used some flame to toast the marshmallow! What a presentation. It was by far the best mint ice cream I’ve ever had and I will most definitely be making my way to their ice cream shop very soon! Now, for the beverages! Ninkasi was one of the businesses there and it was cool that they were handing out full bottles of their beer instead of just tastes. Michael and I both got one of their seasonal beers when we first got there. I already knew I liked it (I have some in my fridge, in fact). I had one. Carb-loading for my Century! 😉 But really, the star of the show ended up being the local vodka distillery and the St. Germain liqueur. It was made with elderflower blossoms. I loved it. They mixed it with a soda that was at the Yelp party (I didn’t catch the name). I ended up having two samples of it. The first was mixed with the cucumber soda. It was like a vodka tonic with cucumber. Delicious. Refreshing. The second was mixed with a pink lemonade soda. I liked that one quite a bit too. Michael and I had so much at the event. 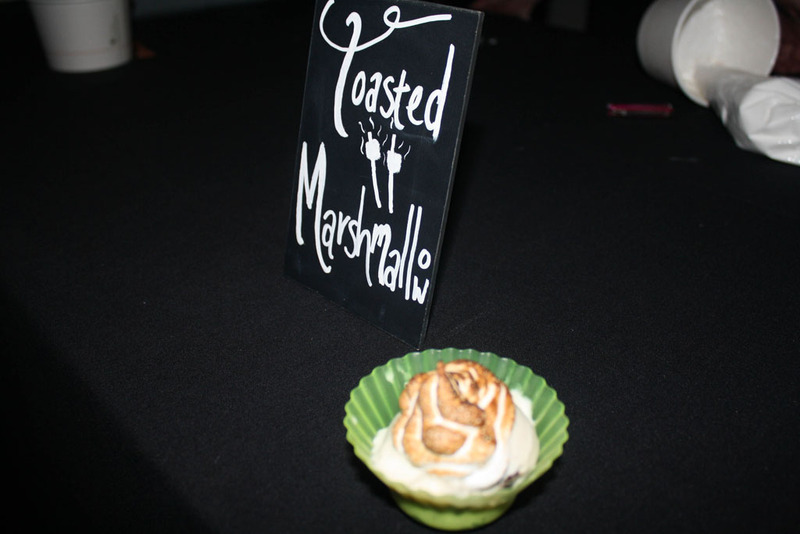 It was my first Yelp event and it was cool to go there and meet some new people and try some local food. 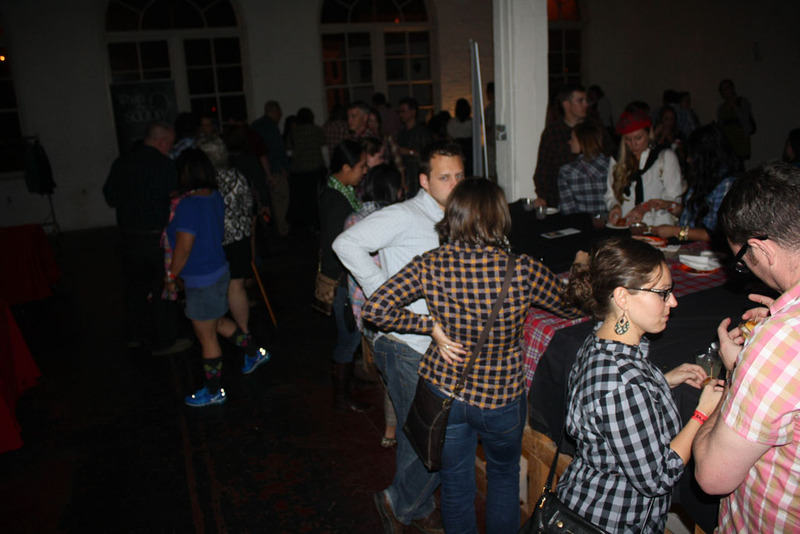 I strongly urge all of you to check out your own local Yelp events and give it a try. It was a blast! 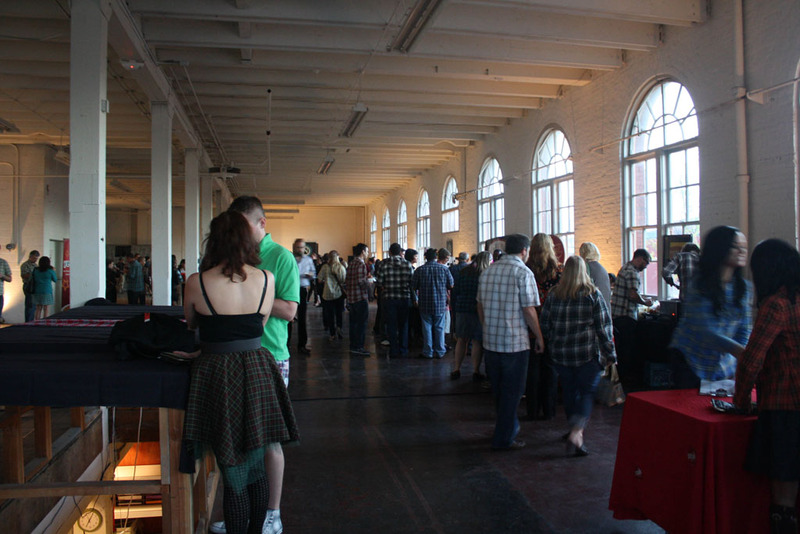 QUESTION: Have you been to a Yelp event in your town? Looks like fun! The plaid theme is so cute! It was a really fun event and I liked the theme. 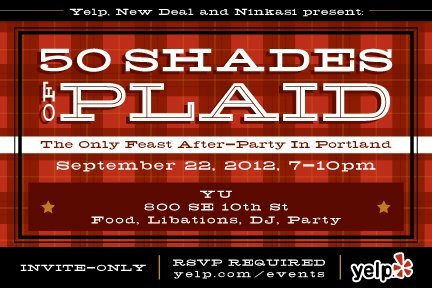 You should definitely check out if your local Yelp has events. I *think* to become and Elite on Yelp you need to be recommended by other Elites, but not sure. I do now its not something you can just sign up to be. Yes, it was a fun theme! I was unsure of it at first, but I liked it. Some people went all out. It was cool to see everyone’s interpretation. Like you, I’m a bit of an ice cream junkie so I tend to stay away from it, but that looks fun trying out the home made variety. 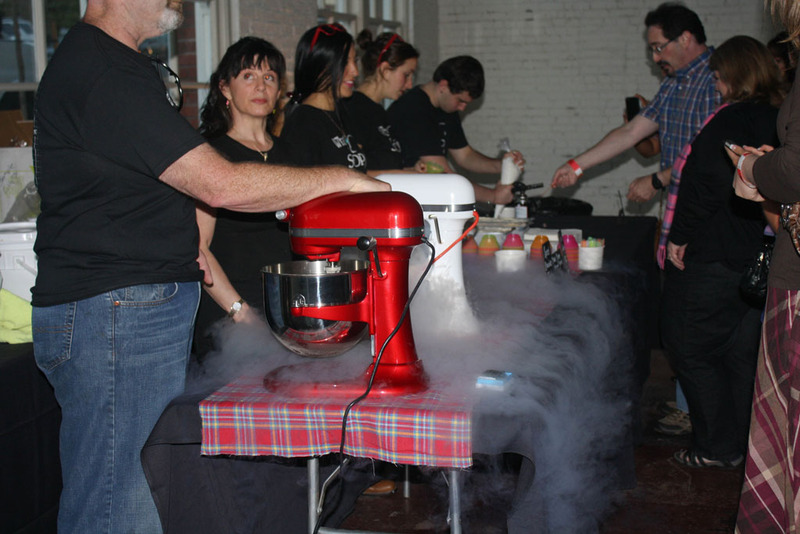 Apparently liquid nitrogen (if that was what you had there) makes the best type of ice cream. I’ve heard that too. 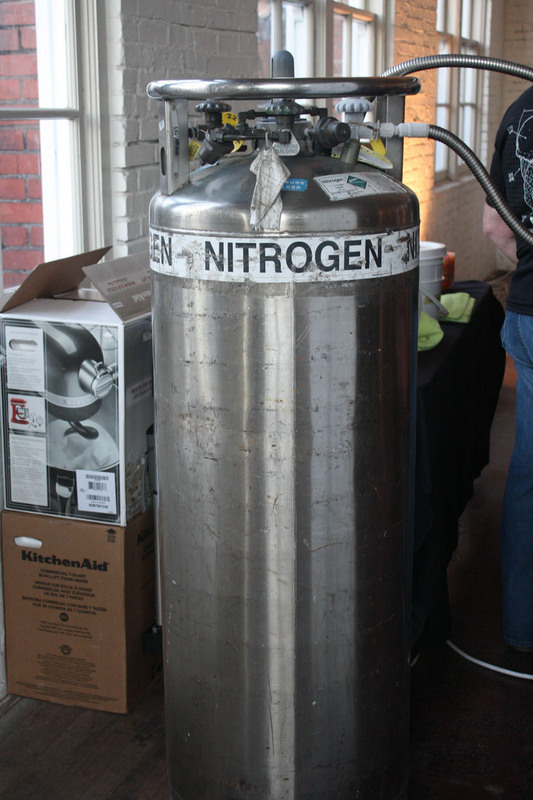 And nitrogen is great for beer, too!